Here at Black Twine, we are obsessed with celebrations and cake (ask us how many seasons we’ve watched collectively of the Great British Baking Show). 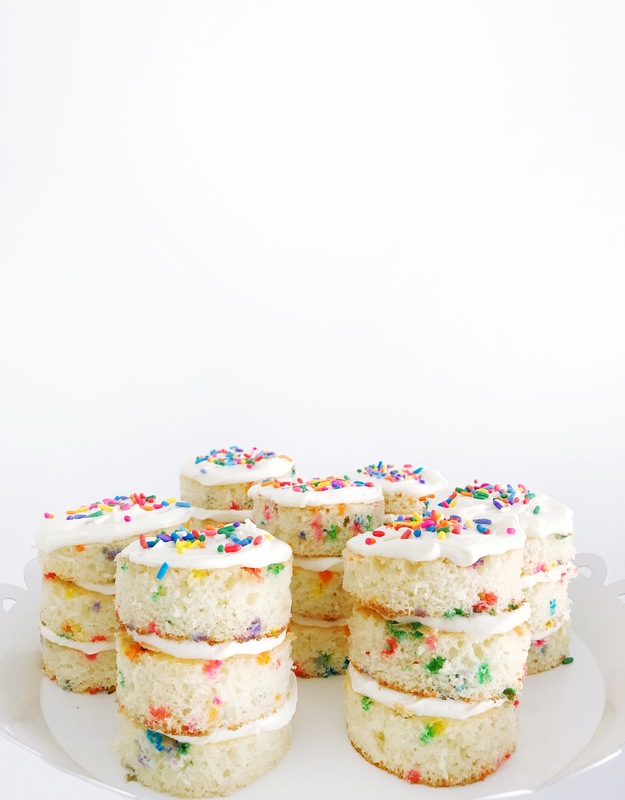 Naturally, we are in *LOVE* with these DIY mini layer cakes by the talented ladies of Love and Lion. 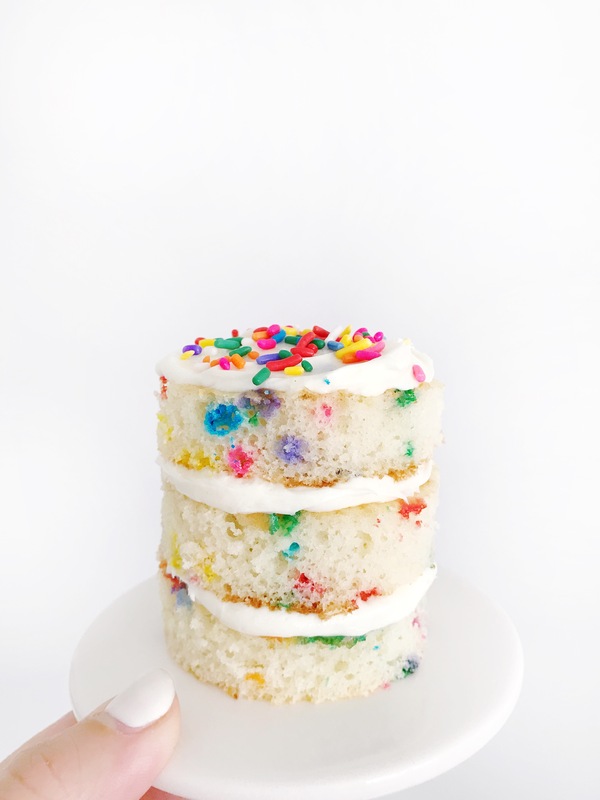 How much do you want to take a bite out of this adorable looking mini cake? Mini and bite sized treats are so irresistible! Love and Lion provides a step by step guide to making these mini cakes. 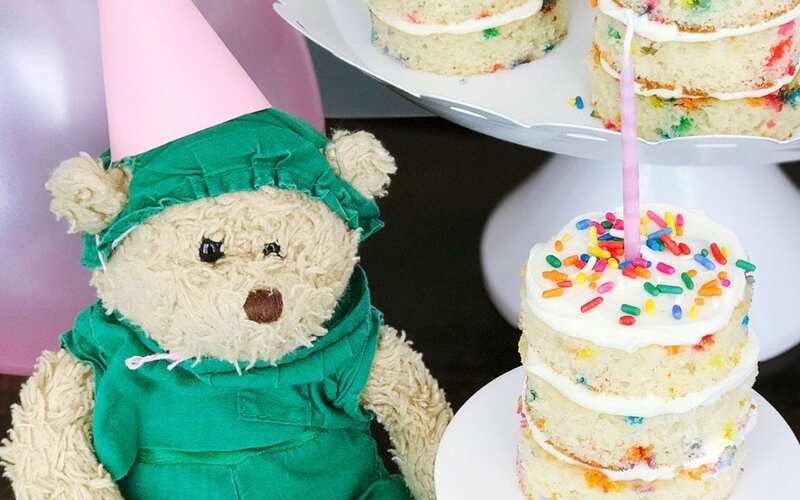 We think they would be perfect for a birthday party, play date or baby shower! 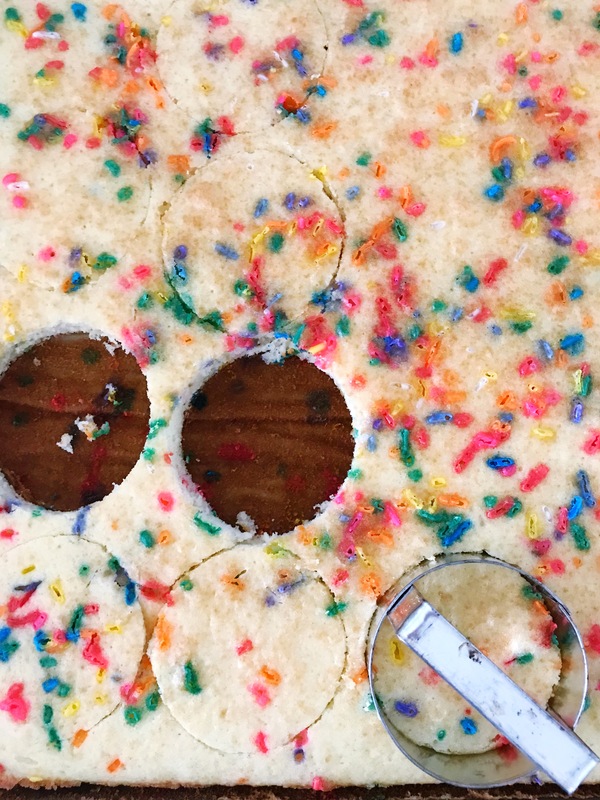 Sprinkles for the win! 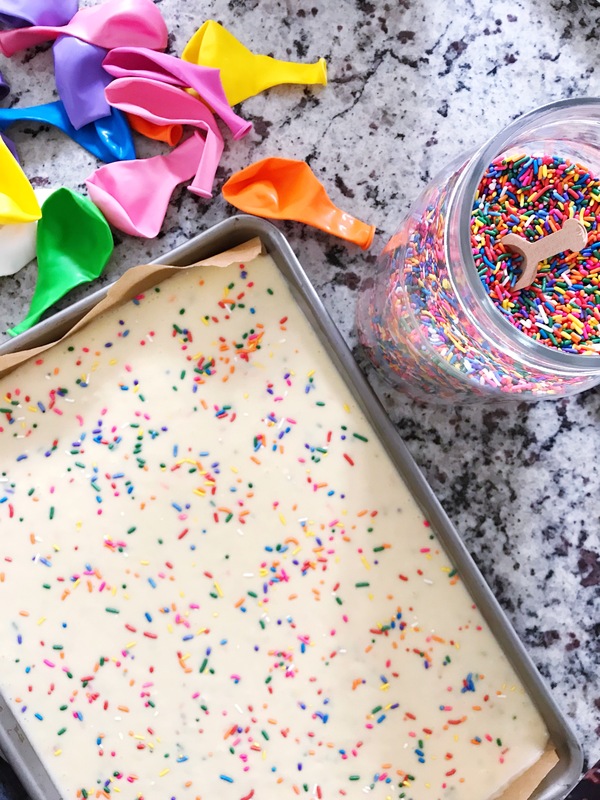 Use a boxed cake mix and frosting for the easiest cake, or try your hand at Milk Bar’s birthday cake recipe. Either way, there will be smiles all around when you bring out these delicious treats! Thank you Jenni and Leah for this fabulous DIY mini-cake tutorial. can these be ma?de the day before or will they dry out? Yes! You can make these the day before and keep them covered.